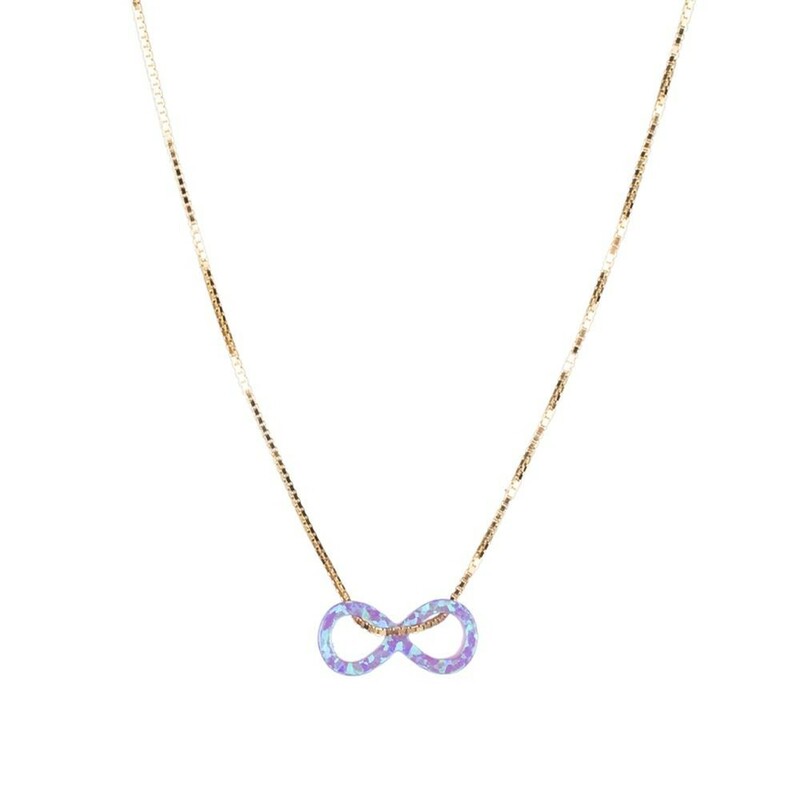 Mission: The infinity symbol teaches us of the boundless, limitless possibilities available to us. It unlocks limitations and pushes us past the confines of duality. It balances our internal male and female equilibrium. Purple is the color of wisdom, spirituality, and magic. Activation: Hayley Starr programs each charm with its unique intention using her Spectrum Healing technique. This blessing is amplified when you recite the following afformation: “Why do I experience infinite potential?” Instructions: Opal necklaces were designed to be worn daily and needn’t be taken off. You can shower, exercise, and even swim in one. It will energize your intention when exposed to Light, and continue to work its magic while you dream. Care: Cleanse weekly in salt water to remove negatively-charged energetic residue. Re-activate by placing your hands over the necklace, saying “Love, Light & Truth” 3 times, then recite the above activation words specific to your opal.